"The Community Alcohol Partnership brings retailers together as part of the solution to prevent underage alcohol sales." Scotmid Co-operative has helped to launch Edinburgh’s first Community Alcohol Partnership (CAP) to tackle underage alcohol sales and street drinking in the East Edinburgh area. The parternship was officially launched today (17 July 2013), supported by the Cabinet Secretary for Justice. The East Edinburgh Community Alcohol Partnership (CAP) is a campaign to educate the public on the impact alcohol abuse has on our communities. The initiative, which is the first of its kind in Edinburgh, will focus on the Portobello and Piershill areas of the city, following successful trials elsewhere in the UK. The CAP will see local retailers, Police Scotland, The City of Edinburgh Council, trading standards, schools and youth providers working together to reduce young people’s access to alcohol and improve their understanding of the risks and consequences of underage drinking. 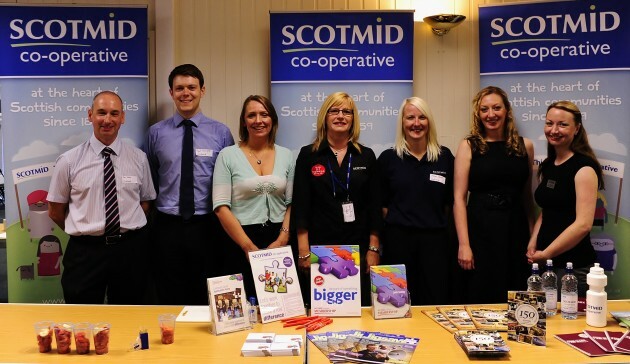 As part of this, Scotmid Co-operative is training independent retailers on responsible retailing initiatives, including the ‘Think 25’ identification policy and proxy purchasing. Scotmid is also supporting community-based diversionary activities for young people. The East Edinburgh CAP will also deliver alcohol education seminars to parents and children as well as supporting a range of diversionary activities that promote positive lifestyle choices. John Lee from the The Scottish Grocers’ Federation added: “The SGF is delighted to be involved in the East Edinburgh CAP. We believe this is a highly innovative approach to tackling alcohol-related problems in our communities. What makes the CAP approach so effective is that it puts retailers at the heart of the partnership and sees them very much as part of the solution. This is an outstanding opportunity for local retailers to demonstrate their commitment to responsible retailing and their willingness to work proactively with key agencies in the community.